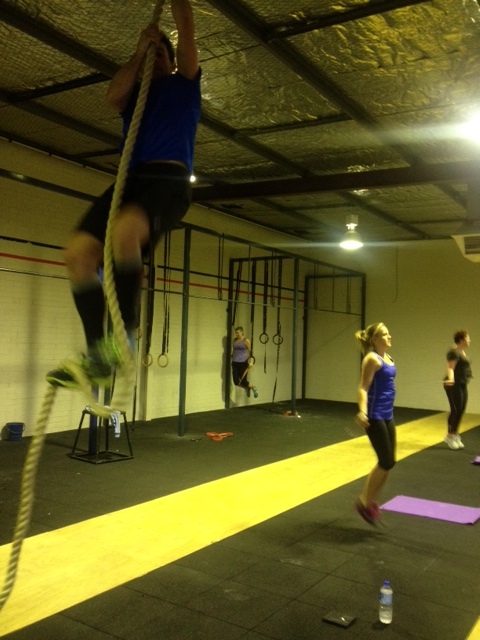 Paul M conquering the rope climbs last Friday morning. Luke – 60 65 70 (1) / 9 + 2 PU Rx ? Mel – 65 70 75 (1) / 9 + 2 PU Rx ? Em – 40 40 40 / 7 ?